Get ready for a costume party at the zoo with this Halloween lift-the-flap adventure featuring your favorite animals all dressed up to trick-or-treat! Welcome to BOO AT THE ZOO! Where the animals wear Halloween costumes, too! It’s Halloween at the zoo, and the animals don’t know what to wear! 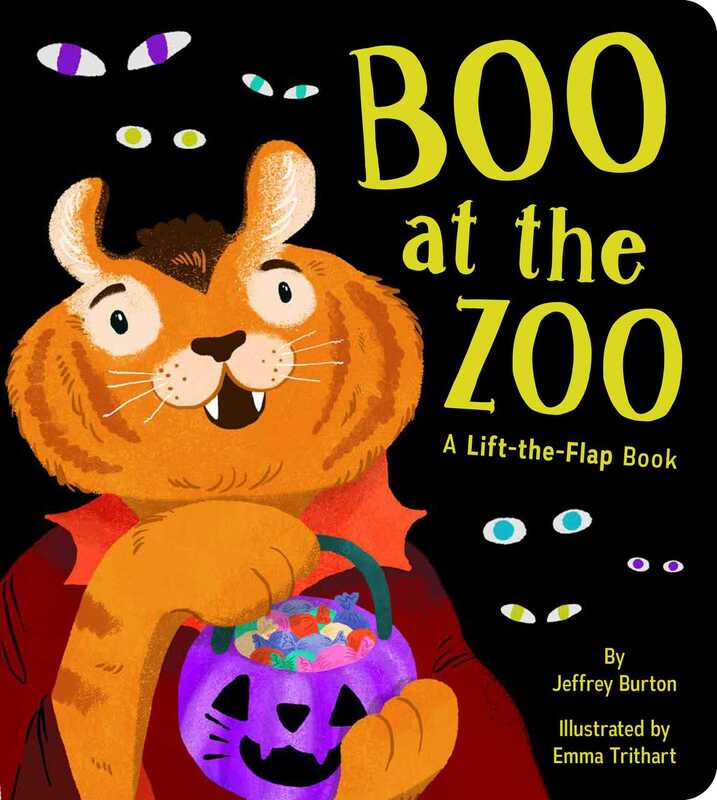 Lift the flaps to discover costume tricks and treats that lead to a big BOO AT THE ZOO! From Giraffenstein to Flaminghosts to Vamtigers and more, little ones will love lifting the sturdy flaps to reveal the silly Halloween costumes hidden underneath. Emma Trithart grew up in Michigan and graduated from the Minneapolis College of Art and Design. After many wonderful years in Minnesota, she moved across the country to Los Angeles, where she lives today. Some of her favorite things in life are blankets, drawing flowers, drinking coffee, and eating good cheese on a cracker with some pepper jelly.